For the last six months, the growing divide between House Cambridge and House Sussex has been front page news. Now that they’ve formally separated households and social media accounts, PEOPLE is even getting in on it. This is noteworthy because PEOPLE is typically royal-friendly, so as to protect their royal access and relationship to their royal sources. The story has gotten so big, however, that they obviously can’t ignore it any longer. 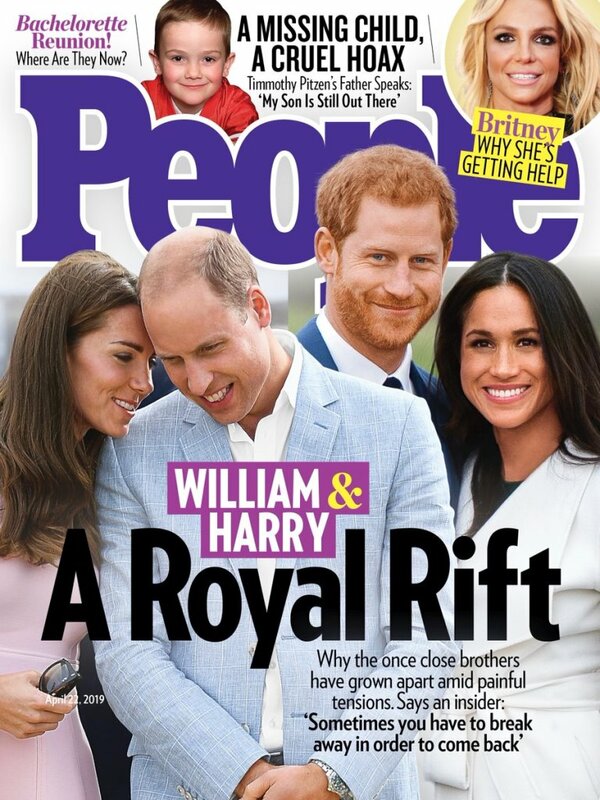 What’s different about the angle that PEOPLE is taking is that they’re putting the focus on the royal brothers, William and Harry, instead of on their wives, Catherine and Meghan. Which is where it should have been all along. If there’s been any manipulation and politicking, William and Harry would have the influence and the power, since they’re the ones who came from the system. The UK tabloids, as we’ve seen, have primarily focused on the women, leaning into the catfight trope, for the most part glossing over the fact that the power rests with the heirs. 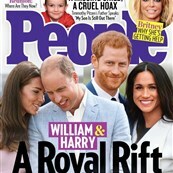 PEOPLE however is centering the princes, the words “ROYAL RIFT” ominously printed in black between them, and teasing the “painful tensions” that have pushed them apart. The story online though isn’t all that scandalous. The focus is here is Kate, House Cambridge instead of Sussex, and a reminder that she’s the higher ranking duchess. They did her dirty though by using that picture. Like it looks like they actually gave her fillers. And, of course, Us too is staying away from the Turnip tiff. Will that put an end to it? You know what will make everybody forget about the turnips? A baby can get rid of the turnips. Baby Sussex could bury the turnip situation. Jayden Sussex isn’t even born yet and already he has his first job.